Everyone wants to achieve their ideal body weight. All it takes is to decide and finally get started with your weight loss routine. 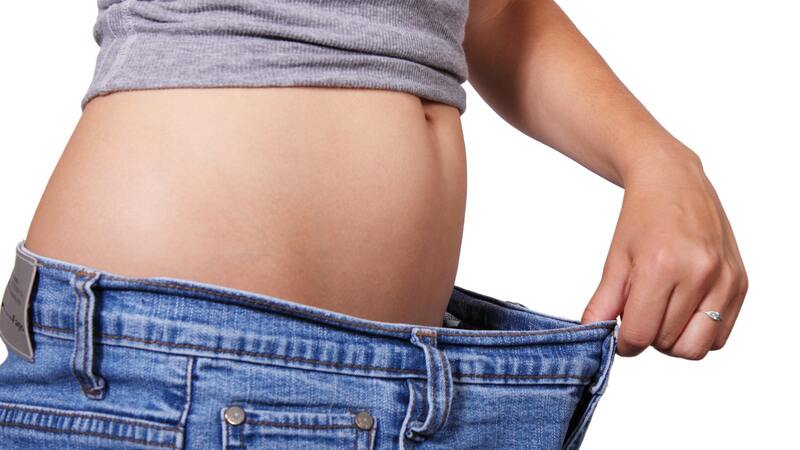 If you want easy tips to promote weight loss, here are easy ways to lose weight fast. You need to know how many calories you should eat per day depending on your goal. And you’re free to download food tracking apps that you can use anytime. This helps you keep a record of your meals, food, and beverages. By tracking your diet accordingly, you can create a sense of awareness. You’ll realize that you’re actually consuming more and more calories mindlessly. You can then understand your eating habits better and make the necessary modifications you need to achieve your goal. A study published in the Journal of General Internal Medicine shows that vegans and vegetarians who stick to fruits, vegetables, whole grains, legumes, and nuts lose more weight than those who do not abstain from animal-based products. A plant-based diet is filled with fiber and slow-to-digest complex carbs, helping you lose weight faster. Studies show that artificially sweetened soda can trigger more hunger hormones, making people consume more calories than necessary. Drinking soda on a regular basis is definitely a no-no. Calories in soda also add up quickly whatever the brand. If you tend to drink soda mindlessly, you’re totally harming your weight loss diet. Dietary protein is essential in any weight loss program. This is because you use up more energy digesting protein than digesting fat and carbs. However, most protein sources are packaged with natural fats that could boost your calorie intake. That is why it’s important to go for leaner protein sources like white fish, chicken breast, and low-fat dairy rather than going for burgers or bacon. By choosing fiber-rich food sources, you can feel full for longer. It also helps in maintaining steady blood sugar levels. This is also why fibrous whole grain bread is better than white bread. On top of aiding your weight loss strategy, fiber also has other attractive health benefits like lowering cholesterol levels, normalizing bowel movement, controlling blood sugar levels, and more. Fast eaters usually gain more weight. Eating slowly helps you eat less. Slow eaters increase their satiety hormones, which are the anti-hunger hormones that are released when meals are not rushed. It’s important to chew your food thoroughly to slow down your eating pace and also minimize the number of calories you take in. Drinking water boosts your metabolism, cleanses your body of waste, and also acts an effective appetite suppressant. Also, if you don’t drink a lot of fluids, your body releases an antidiuretic hormone that causes water retention. And having excess water weight won’t help you reach your weight loss goals. Some people resort to food when they’re stressed. That is because the stress hormone cortisol tends to stoke your appetite for fatty and sugary foods. The best way to avoid this is to take a look at your stress management approach. Exercise is always good. It’s great for your health. It helps you avoid diabetes, heart disease, obesity, osteoporosis, and more. It’s even beneficial for your mental well-being. In terms of weight loss, exercise does help you burn off some calories, but it’s not entirely effective on its own since for some people, exercise may increase hunger making them consume more calories than they’ve burned during the workout. Simply put, there’s definitely no harm with exercise, but you shouldn’t rely on it alone when it comes to losing weight fast. It should always go with healthy lifestyle changes. Intermittent fasting involves having regular short-term fasts. It helps you optimize certain hormones associated with weight control. Short-term fasting promotes certain changes in the body which makes it easier to burn fast. These include increased growth hormone, reduced insulin, optimized epinephrine signaling, and a boost in metabolism. But the main reason fasting works is because it helps you consume fewer calories without consciously trying to eat less. Fasting is probably one of the easiest ways to restrict calorie intake and shed pounds. There are a lot of ways to lose weight, but it all boils down to your commitment and dedication. Some passionately decide to lose weight one day and instantly lose all the motivation the very next day. Maximize the easy ways to lose weight fast and decide to finally make progress.